Black Panther is a runaway hit that’s noteworthy for several reasons. Having passed the $1 billion mark, the film is a big win for Marvel Studios. The blockbuster is great in terms of representation, both in front of and behind the camera, because it shows that people of color can create, write, and star in successful films. Additionally, as an essentially all-American production, the film is a testament to what can be created domestically. But its success isn’t necessarily good for other domestic blockbusters making their way to theaters. Potentially complicating things even further are Chinese domestic releases, which continue to do increasingly well. 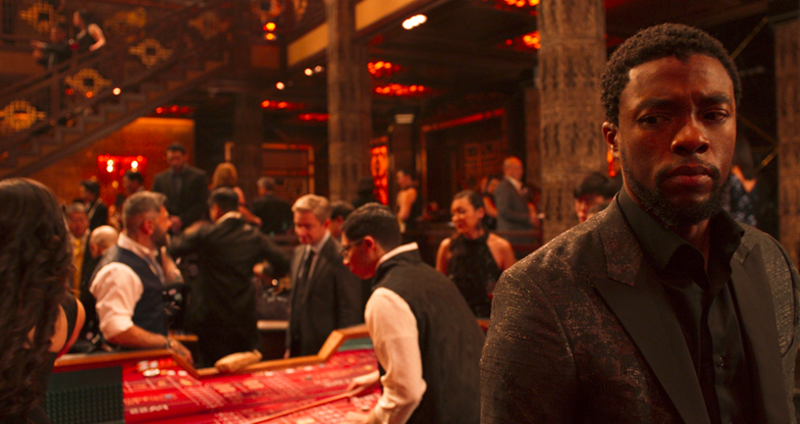 Six of the top ten foreign releases — including Black Panther — were produced in Hollywood, and only four are blockbusters made in China. If Hollywood aims to be even more competitive, then studios may continue to focus on films and stories that will do well internationally. Movies that make domestic audiences happy could become an afterthought. 2018’s box office totals are up from last year, but that’s largely thanks to Black Panther and films that were released in December 2017. So far, films in 2018 are not doing nearly as well compared to last year: Logan, Kong: Skull Island, and three other films all opened over $40 million by this point in 2017. Black Panther is the ideal film that both interests domestic audiences and does well overseas. It’s rare, so it’ll be interesting to see if any of 2018’s other offerings do well worldwide, and even more interesting to see how much studios will really focus on international markets in the future. Black Panther is currently out in theaters.